colourful outings in complete safety. deck lounge, bring the concept close to that of American bow riders. surfaces of her hull deflect water perfectly. and a deck plan accommodating ten people make this sports dayboat particularly attractive. 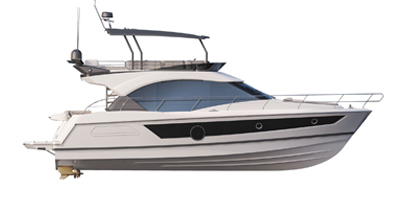 Built on the latest generation of Airstep® hulls, she is wonderfully safe underway. 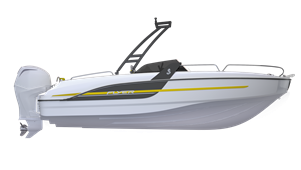 optimize the performance of this outboard sport boat created for sensations. Just like the aft bench seat, the two forward seats with backrest convert into a sun lounger. 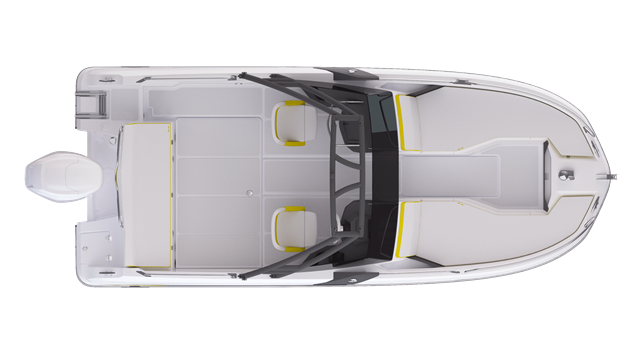 With lots of storage space, drink holders, glovebox, speakers built into the driving station and marine toilet underneath the forward bench seat, the flyer 6.6 SPORTdeck boasts many options. Enjoy greater sensations on the lowered position of the pilot and co-pilot seats. Double console for pilot and co-pilot in seated driving position - built in speakers. Forward saloon and aft seat convert into sun loungers.